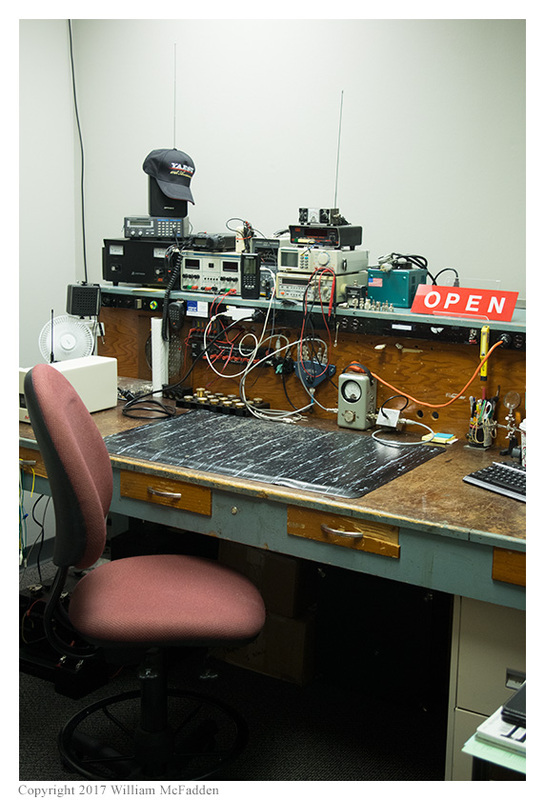 In October, 2017, Universal Radio moved from their large Reynoldsburg, Ohio retail store and warehouse to a smaller retail store and warehouse at 651-B Lakeview Plaza, Worthington, Ohio. This is actually Universal Radio’s fourth location in its 75 year history. In 1942, Universal Service opened on North Third Street in downtown Columbus. In 1977, Universal Radio moved to Aida Drive in Reynoldsbutg. In 1992, Universal Radio moved to Americana Drive in Reynoldsburg. 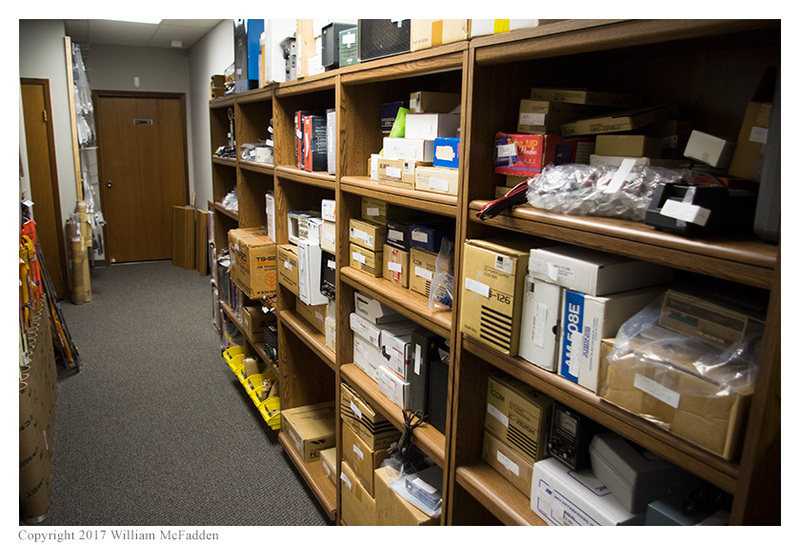 Finally, in 2017, Universal Radio moved to the current location in Worthington. On Friday, November 17, I had the opportunity to visit the new location of Universal Radio for the first time and I prepared a photographic tour of the new location. 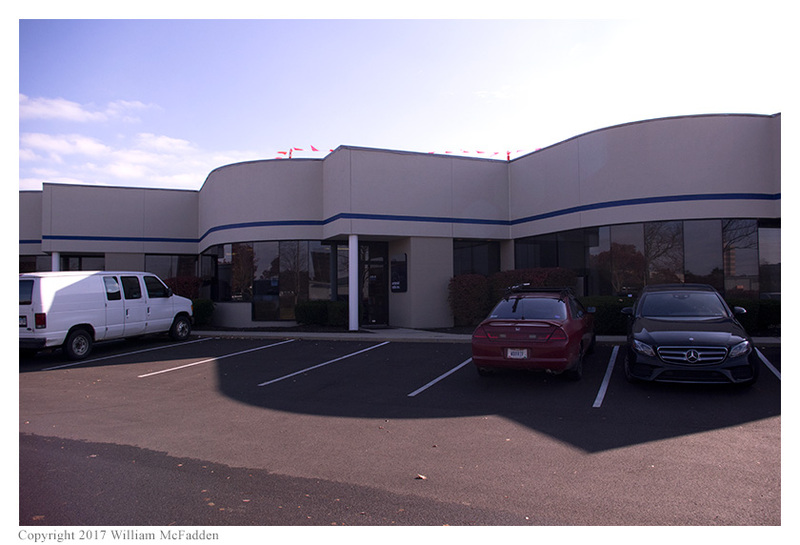 The new location is smaller than the previous location and instead of consisting of one large showroom space, the new location consists of several smaller rooms. (Indeed, the new layout reminds me the layout of one of my all-time favorite bookstores, the Book Loft in Columbus’s German Village neighborhood, which now has 32 (!) 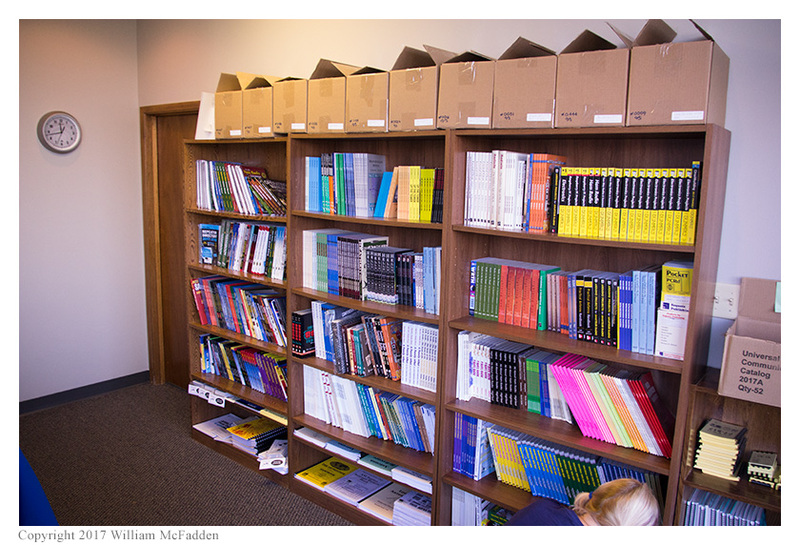 rooms of books. No, Universal Radio’s new store does not have 32 rooms!) As can be seen in the following photographs, these rooms are densely stocked. Universal Radio still offers all the items that were available in the previous store location. 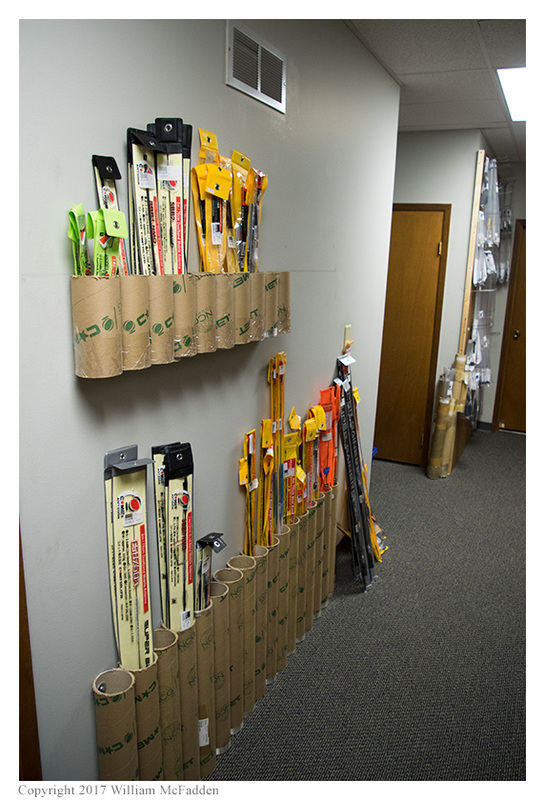 Of course, just as at the previous, larger, location, some items aren’t on immediate display but are available upon request. 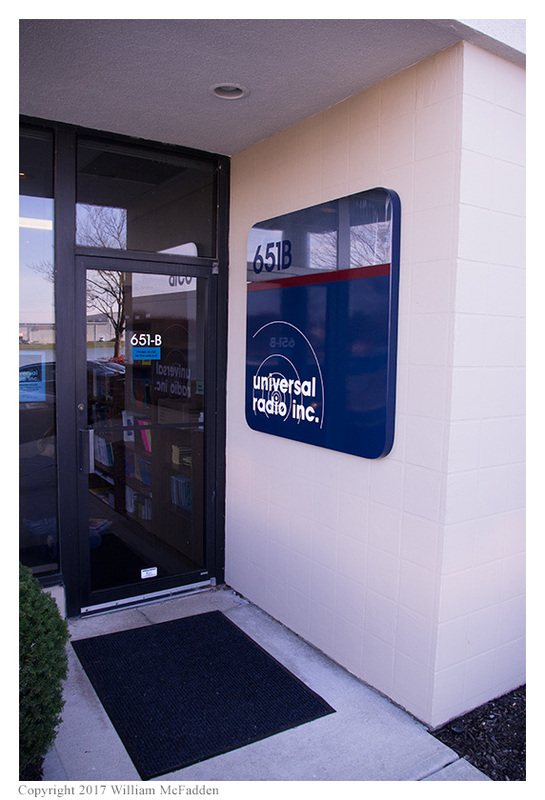 The new Universal Radio storefront at 651-B Lakeview Plaza Blvd, Worthington, Ohio. There’s more than ample parking. The sign and entrance to the new Universal Radio store. Immediately upon entering the store, one will find hundreds of book titles. Here, Barb is stocking the shelves with the newest, just-released, “The Worldwide Listening Guide”. And, of course, Universal still offers several issues each of the two major American amateur radio magazines. 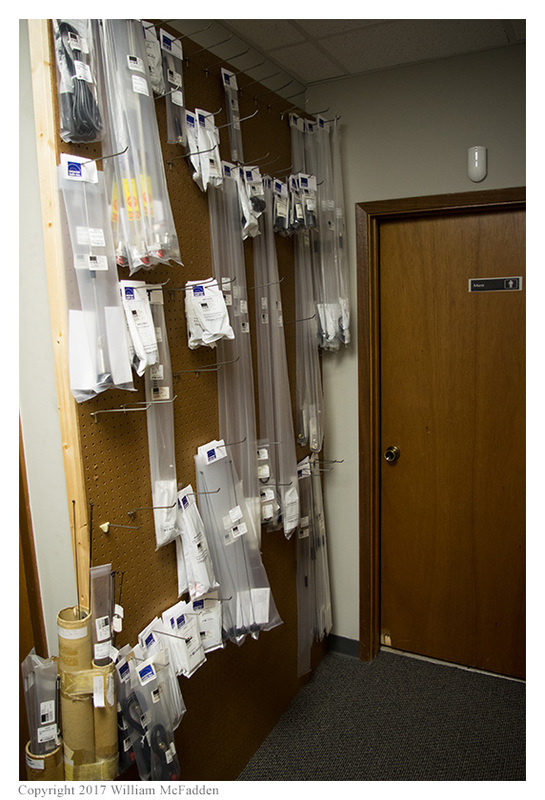 In the main showroom: antennas, shortwave receivers, HTs, scanners, and VHF/UHF mobile transceivers. 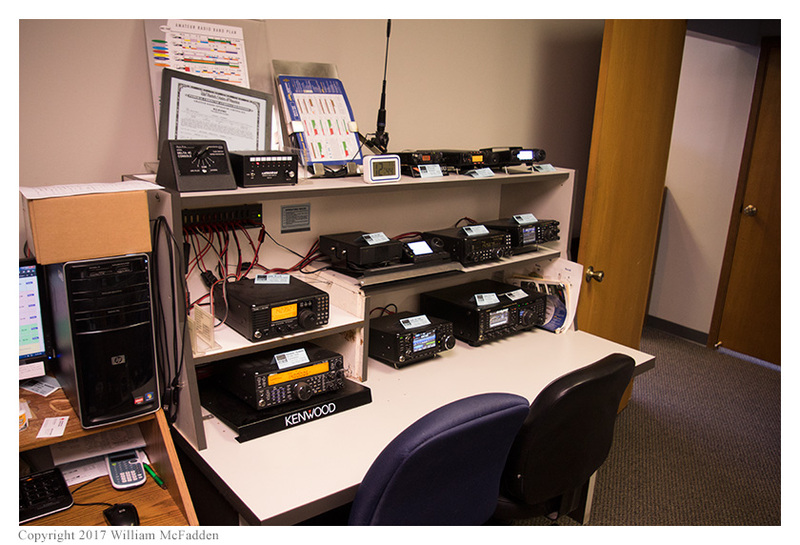 In the same showroom, the HF transceivers, available to operate. 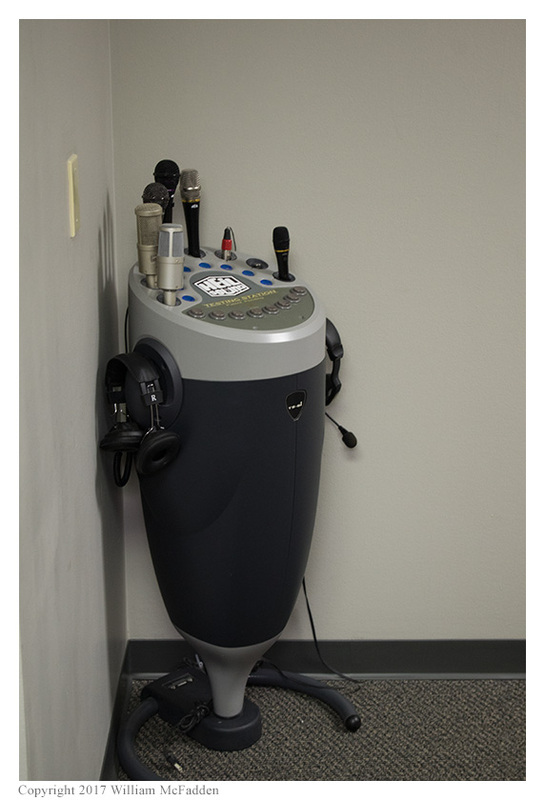 The Heil microphone and headset display. 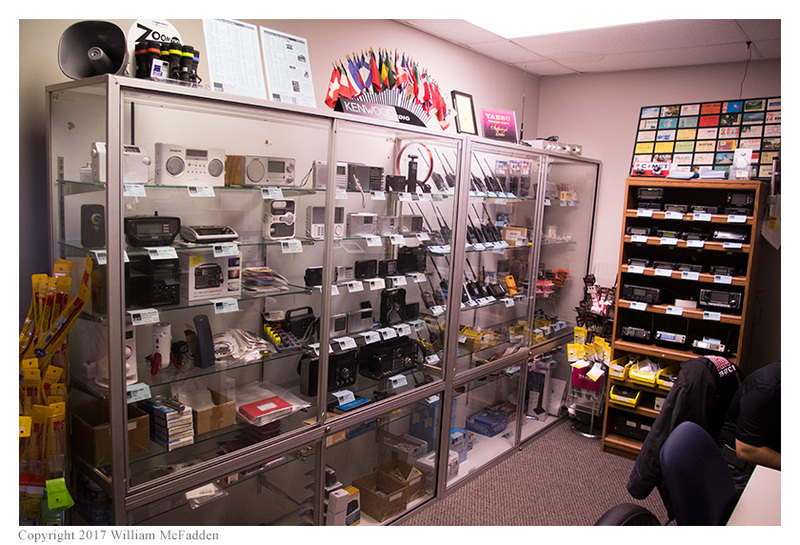 The Used equipment display: HF transceivers, shortwave receivers, VHF/UHF transceivers, handhelds, and accessories. Just as with nearly any other modern retailer, Universal Radio’s bread-and-butter is internet and telephone orders. 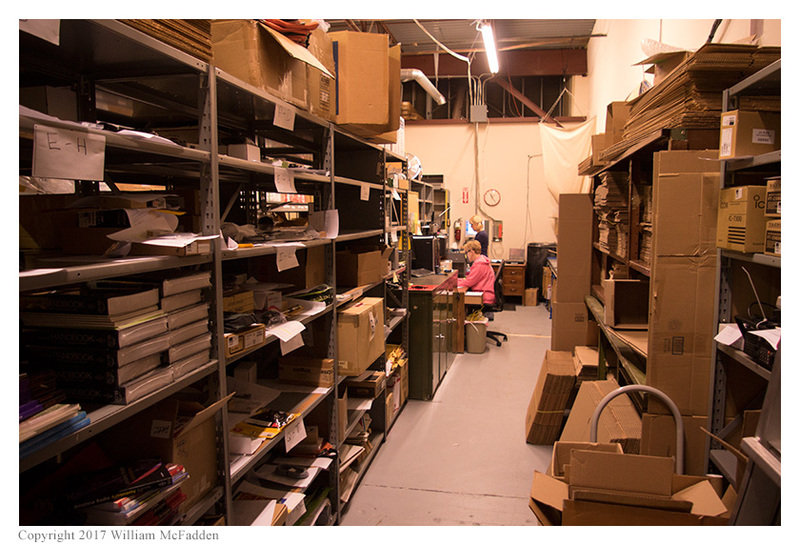 This is just a small portion of the new warehouse and shipping area, with Barb and Cathy busily filling orders. 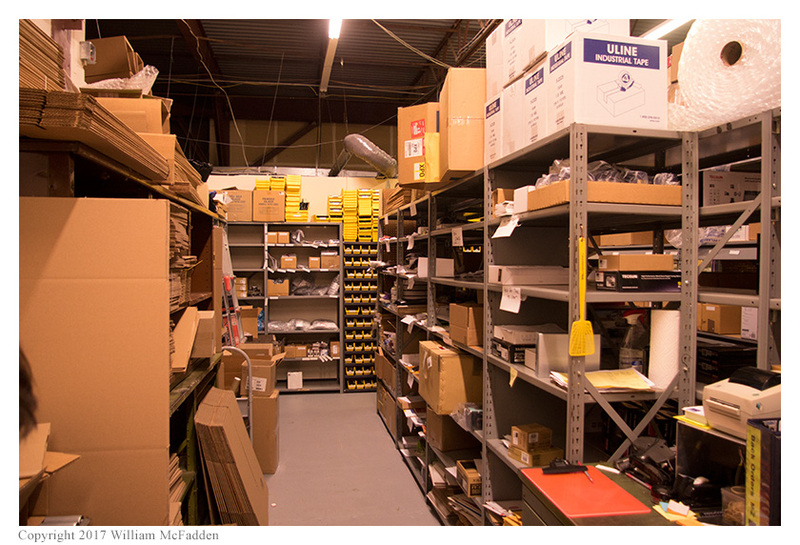 A small portion of the warehouse and shipping area. 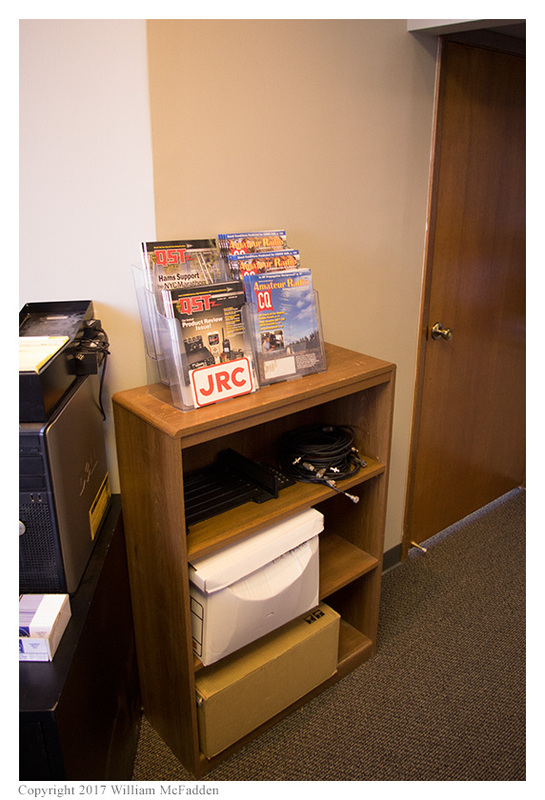 Universal Radio still has a nicely-equipped service area. Just as at the previous Reynoldsburg location (and at the even earlier Aida Drive location), the new Universal Radio store is home to several cats which, sadly, I neglected to photograph. The new store is staffed by the same friendly and helpful people we’ve come to know from the Americana Drive location. During this visit, I saw and spoke with Josh, Eric, Barb, and Cathy. This entry was posted in News and tagged Eric McFadden, Universal Radio, WD8RIF. Bookmark the permalink. Universal may have moved, but their excellent customer support and service with a smile will surely continue! It’s a real pleasure doing business with these nice folks that are dedicated to our wonderful hobby! I wish Fred Barb and their people all the best!